With signs that the UK economy is now starting to recover after the worst slump since World War 2, customer satisfaction however is on the decline. July saw the most recent update of the UK Customer Satisfaction Index, which showed the third consecutive drop in customer satisfaction recorded over the last 18 months. 12 of the 13 industry sectors declined with the Retail (non food) sector remaining top of the league whilst the Utilities sector continues to flounder at the bottom of the list despite a small increase in satisfaction over the last six months. Of the 197 organisations featured, only 28 increased their satisfaction scores, with a massive 96 seeing their scores decline. The usual suspects remain at the top of the table namely John Lewis, Amazon and First Direct being consistent over the last 12 months. The only noticeable absence is Waitrose, who have dropped to 6th place, down from 3rd in 2013. Within the top fifty organisations, Centre Parcs has shown the biggest improvement rising to 13th place, up from 89th in 2013 with Welsh Water showing the largest improvement out of all the organisations. Well as we’ve seen since the UKCSI started in January 2008, customer expectation has continued to rise and organisations certainly over the last 18 months have failed to keep pace. In addition to that, customer needs and preferences are evolving. The use of mobile technology is a good example and generally speaking, organisations have been slow to responded to the changing landscape of the customer and digital experience. 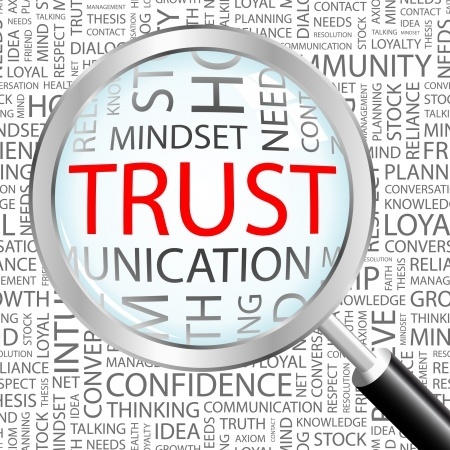 The trust issue, or the lack of, has remained front and centre with customers and the continued exposure of poor practice and treatment of customers in addition to some high profile cases of deliberate malpractice has done nothing but undermine customer confidence. 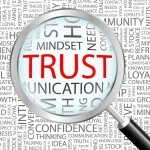 There is a very marked and direct correlation between customer satisfaction and trust, and the trust will need to be rebuilt in order for the direction of the index to reverse. Finally both public and private sector cost cutting and stalled investment is likely to have had an adverse impact on customer satisfaction, which when combined with the other variables above is painting a less than positive picture of the state of customer satisfaction in the UK. However, within this environment, there are also opportunities for organisations that can be lean, agile, and innovative with both products and services and who can deliver consistent, simple and effortless customer experiences. In fact now, more than ever in recent years, is a good opportunity to steal a march on the competition for those bold enough to lead the way. Organisations are going to need to redouble their efforts over the next 12 months and beyond if they’re going to want to see results improve as further decline will start to adversely impact the bottom line. This entry was posted in Customer Experience, CX, CXM, Great customer experience, Measuring customer satisfaction, UKCSI by Richard Kimber. Bookmark the permalink.